salmon niçoise and caprese cous cous: dining al fresco with homesense. I've hope you've been enjoying the long Bank Holiday weekend! Has the British Summer finally begun? Whether you're planning the first BBQ of the season or are dusting off that picnic basket, I've teamed up with HomeSense to bring you some al fresco inspiration. In case you aren't familiar, HomeSense pride themselves on beautiful homeware without the hefty pricetag. Part of the TK Maxx family, HomeSense offer everything from cookware and baking essentials, to pretty cushions and quirky decorative finds. As a foodie I of course always make a beeline for the kitchenware aisle, discovering some lovely pieces from their latest Al Fresco dining range. vegetarian quorn chilli with spicy guacamole and eggs. A super simple vegetarian recipe for fans of avocado, runny egg yolks and a kick of chilli. This recipe is a take on the Mexican huevos rancheros with spicy baked eggs cracked into a tomatoey sauce. Instead, the elements are created separately allowing for gooey eggs without waiting for the whites to cook. Veggie chilli is an absolute staple in my house and I often make a massive batch to save for later in the freezer. Enjoy for breakfast, brunch, lunch, dinner or leftovers... just make sure you go heavy on the guacamole. Instagram loves it, don't you know? Found in the quirky suburb of Clifton in Bristol, Number Thirty Eight is an independently run, luxury townhouse. 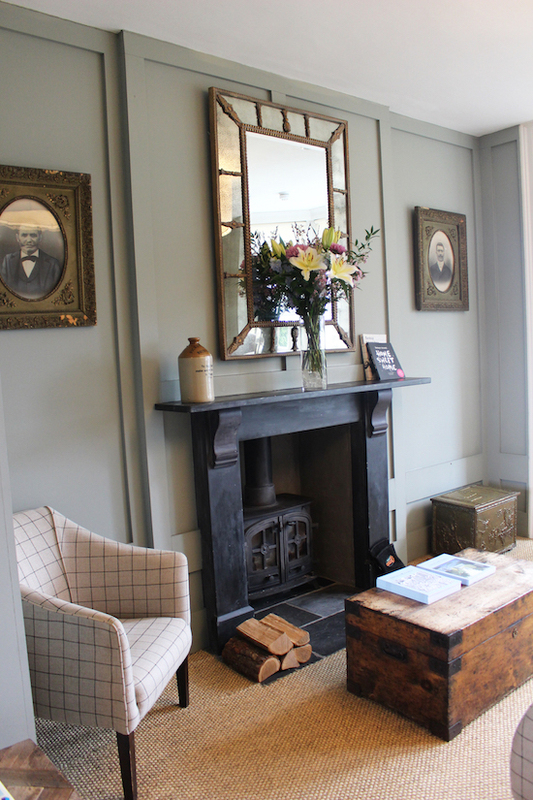 With just ten bedrooms, the boutique hotel has been refurbished from an old Georgian merchant's house. Priding themselves on a "home away from home" atmosphere, the beautiful townhouse is in keeping with original features, whilst boasting a clean and contemporary finish. And so on to part three of my #ICAKEYOU collaboration with Betty Crocker. These baking treats were a midweek pick-me-up to my team at work. Having made the lovely Betty Crocker red velvet cake and used their mixes for my carrot cake pops, I couldn't wait to get my hands on their lemon cake mix to give these cupcakes a whirl. 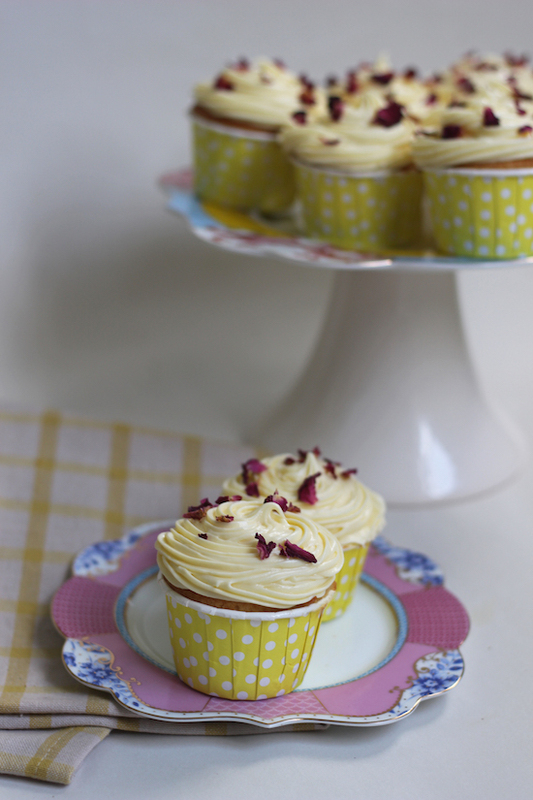 After using their lemon sponge and simple lemon buttercream, I sprinkled with edible rose petals and... ta da! Found in the Schöneberg area of Berlin, by the Yorckstraße UBahn station, you'll find a little gem of a pizza place. With some specials named after rock stars of the ages, Pizza Klub serves up delicious pizzas with inspiring toppings and generous portions. Vegans will be pleased to know they can enjoy the menu too, with varieties of realistic vegan cheese oozing from mouthwatering stone baked bases. A super easy barbecue recipe for the Summer. I've teamed up again with Iceland to show how the #PowerofFrozen is perfect for BBQ season. Their 100% beef quarter pounder burgers and easy bake cobs are such handy ingredients to have in the freezer ready for sunny days. In this avocado and bacon burger recipe, I simply cooked up their super tasty burger patties with slices of crispy bacon and ripe avocado in a soft burger bun. The beef burgers are essentially just great quality beef with a seasoning of salt and pepper - frozen food doesn't mean rubbish food! Serve with their easy-to-cook sweet potato fries for the ultimate Summer feast! Happy Cinco de Mayo! And what better way to join in the celebrations than to create a Mexican banquet brimming with colour, flavour and passion. 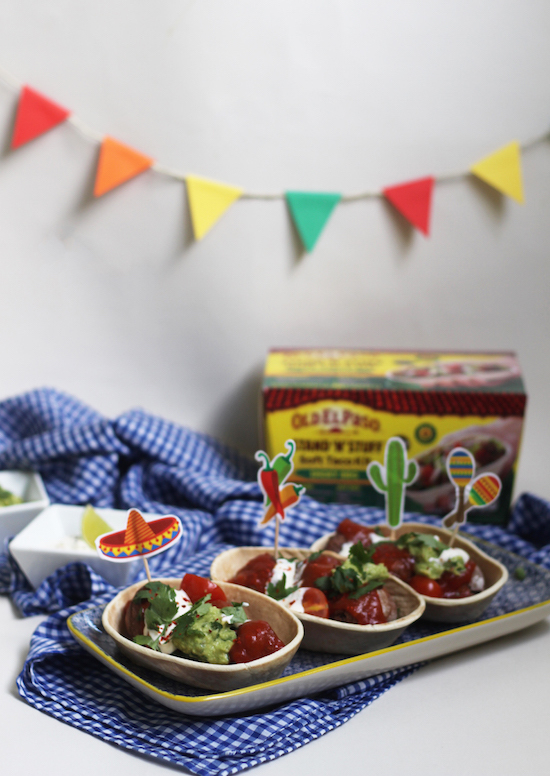 For over eighty years, Old El Paso have been the go-to guys for effortless but fun recipe kits and condiments; helping families and friends for conjure up Mexican feasts time after time. 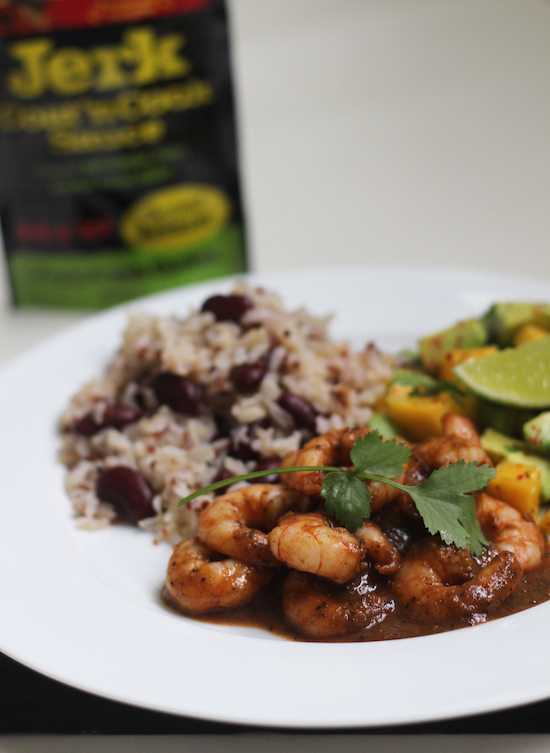 Full of colour, texture and flavour, the Mexican cuisine lends itself to bringing simple ingredients to life. Featuring their Smokey BBQ Stand 'n' Stuff Soft Taco Kit, I've come up with a vegetarian recipe that's super easy to make and even quicker to devour. This Mexican style bean ball recipe is made from red kidney and borlotti beans before being stuffed in the taco shells with guacamole, salsa, tomatoes, the heavenly smokey sauce and lashings of fresh coriander and lime. Another macaron recipe from me! This time it's turn for another timeless chocolate bar to be the star of the show - the mint Aero. With pastel green shells and a chocolate mint buttercream filling, meet the mint Aero macaron! When pondering the sweet counter, I never think to choose them, but this just reminded me all over again why they're such an underrated and classic chocolate choice. And sandwiched in a French macaron? Yes please!